Based on the inductive study techniques outlines in the bestselling Living by the Book, this workbook creates the opportunity to grow in faith and knowledge through short, practical exercises and complete studies of the books of Ruth and James. In simple step-by-step fashion, you will learn to observe, interpret, and apply the Scripture to transform your life. 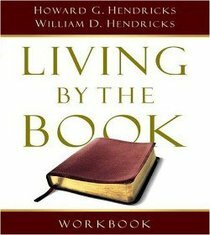 About "Living By the Book (Revised 2007) (Workbook)"